Surfing dog Ricochet is one of five dogs who will be starring in the new 3D IMAX film Superpower Dogs, a family adventure film presented in association with the California Science Center being released worldwide in the spring of 2018. Ricochet’s role in the film will showcase how she balances boards … and lives. 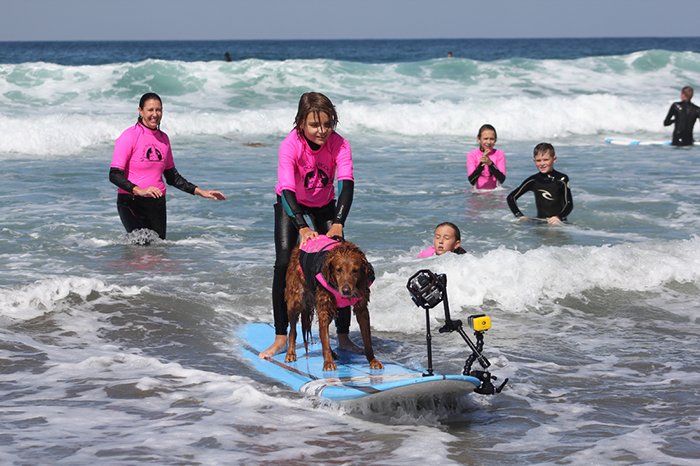 As the canine Ambassador for Surfers with Disabilities, she’s the only SURFice dog on the planet who provides therapeutic assistance while creating unique surfing experiences that empower kids with special needs, people with disabilities, wounded warriors & veterans with PTSD. Learn more about Surf Dog Ricochet in our article here and learn more about Superpower Dogs at superpowerdogs.com. Mountainsmith – which crafts iconic backcountry equipment and recreational outdoor gear – recently launched a new line of adventure camera packs designed in collaboration with legendary outdoor lifestyle photographer Chris Burkard. The Burkard T.A.N. series, which stands for “Tough as Nails,” is comprised of five separately sold pieces that are designed to work together to create the most universal camera carry solution on the market. “My goal with this series was to create something that I’d be comfortably taking on 95% on my trips,” says Chris Burkard. “I wanted to create a durable, multipurpose series of bags that work together to suit my shooting style, and Mountainsmith, a brand with a reputation for building tough, long lasting products, was the perfect partner to collaborate with on such a project.” The Mountainsmith T.A.N. series is available now on Mountainsmith.com as well as ChrisBurkard.com and select retailers. Ed Note: Read more about Chris Burkard in our article “Capturing the Perfect Moment” by Chris Van Leuven here. 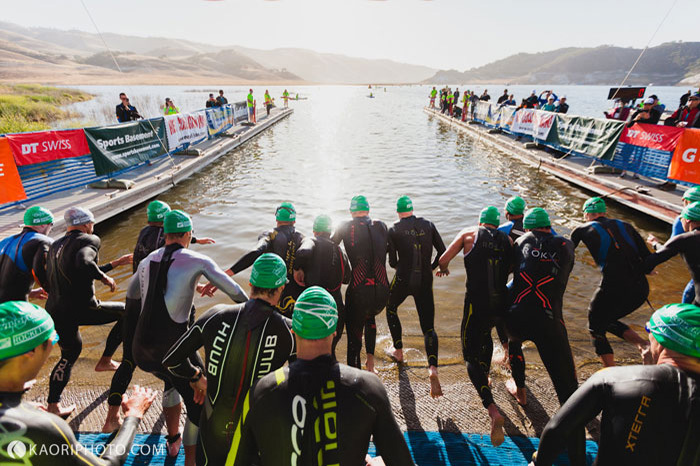 Tri-California announced that it will not produce its iconic Wildflower Triathlon for 2017 – nor any of its other triathlon events – due to prolonged drought, the economic climate, and a decrease in triathlon participation. 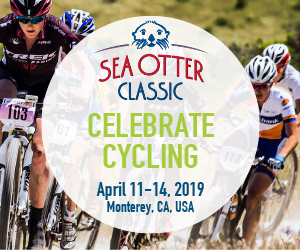 Although the event planner pulled out all the stops to produce quality Wildflower events in 2015 and 2016 with alternate swim, run, bike, and run courses, participation was too low to make it economically feasible. In a ripple effect, low participation affected exhibitor, sponsor, and camping revenue. The financial losses proved too great to run the event without water levels high enough to hold it in one location. Founder co-founder Terry Davis anticipates returning the event to its former glory once California’s drought is over and water levels are normal. 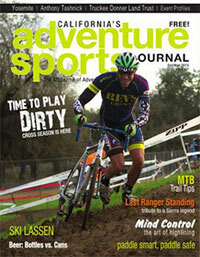 “There is not another event in the world like Wildflower and we need it in our sport,” Davis asserts. The same drought conditions have also affected Lake Lopez in San Luis Obispo, cancelling Scott Tinley’s Triathlon for 2017. Learn more in our full article here. 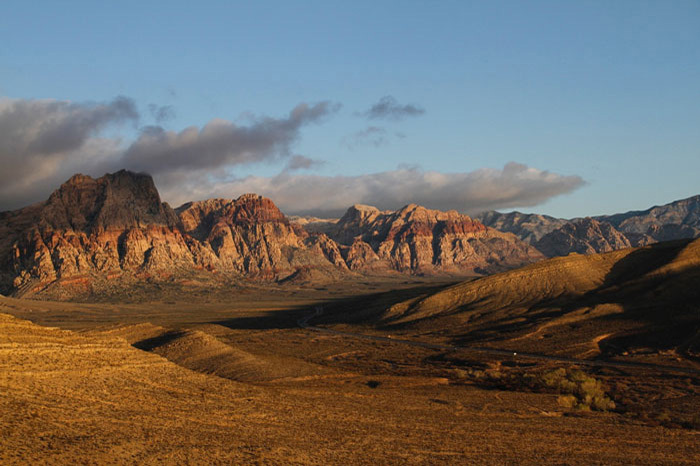 Red Rock Canyon National Conservation Area (RRCNCA) – a popular Las Vegas-area destination for outdoor enthusiasts across the globe – is under threat of a massive housing development project that includes 5,000 homes. Clark County Commissioners are currently considering a request to rezone land that’s currently deemed rural, which would result in the destruction of Red Rock’s landscape, bringing pollution and traffic to the area and enraging the two million visitors who use the RRCNCA each year as a destination for climbing, hiking, biking and camping. The proposed 2,010-acre high-density development is on land that borders RRCNCA. Clark County Commissioners will decide the fate of Red Rock Canyon on December 7, 2016. Save Red Rock (SRR) is a grass roots organization committed to protecting the rural, recreational, and scenic nature of Red Rock Canyon. The organization has a long history of success in safeguarding the area. Learn more at SaveRedRock.com. A community showing of Crossing Bhutan on January 27, 2017 in Santa Cruz will raise funds for the Santa Cruz High Cross Country Team and the Bhutan Association of Women Entrepreneurs. The film tells the story of four veteran athletes and their journey to explore Bhutan’s enigmatic policy of Gross National Happiness (GNH) by making the first-ever 485-mile, border-to-border crossing of this isolated kingdom entirely by foot and bike. Learn more about the film at crossingbhutan.com, purchase tickets for the Santa Cruz showing here, and discover other community showings here. 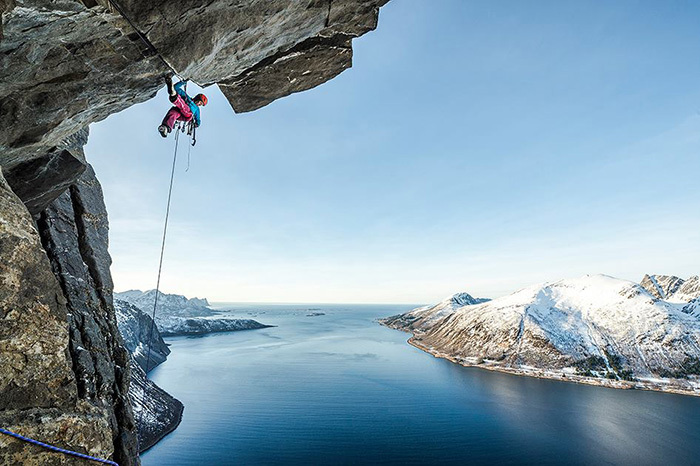 The Banff Mountain Film Festival World Tour returns to Santa Cruz February 23-26, 2017 to exhilarate outdoor enthusiasts with amazing big-screen stories. 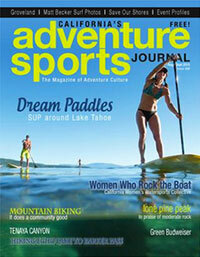 Journey to exotic locations, paddle the wildest waters and climb the highest peaks. 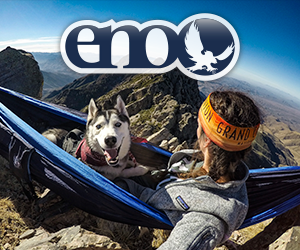 Get your tickets today and be taken away to the most captivating places on earth. 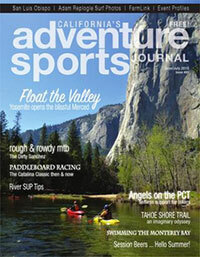 This stop on the world tour is hosted by UC Santa Cruz Recreation and proudly sponsored by Adventure Sports Journal. Purchase tickets here. View the full tour listing here. The 2nd annual Carson City Off-Road – scheduled for June 16-18, 2017 – will again be the third stop in the Epic Rides Off-Road Series. 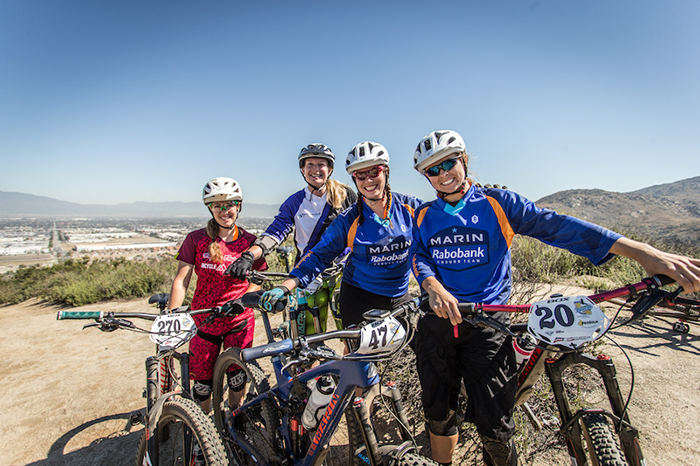 Following the Whiskey Off-Road and Grand Junction Off-Road, the sold-out inaugural (sold out) event welcomed mountain bikers of all skill level to enjoy a 15-, 35-, or 50-mile backcountry loop. 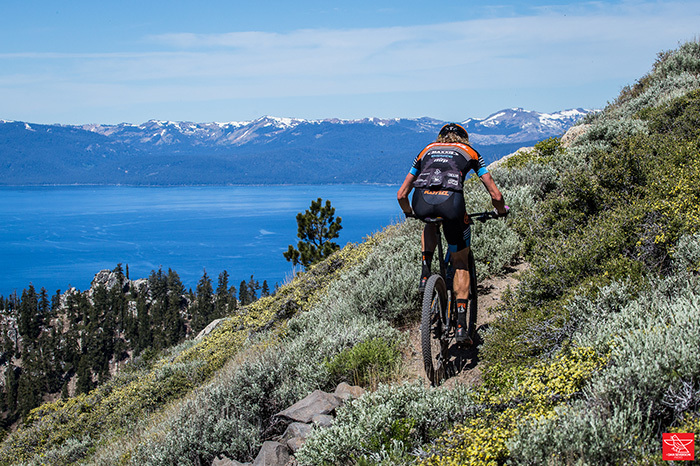 The scenic routes take riders up the Eastern edge of the Sierra Nevada, offering expansive views of Lake Tahoe, Washoe Valley and the Carson Valley while featuring portions of the Tahoe Rim Trail and connecting some of the area’s favorite (and challenging) pieces of singletrack, double track, gravel roads and the occasional paved segment. With Carson City’s main street recently renovated, downtown is now purpose-built ready to host a massive bike party including three days of event festivities. Immerse in the area’s silver mining heritage and be welcomed by its modern day appreciation for the outdoor enthusiast. Registration for the Carson City Off-Road opens January 1, 2017. Act fast to receive early registration benefits. Learn more at epicrides.com. The California Enduro Series (CES) announced the 2017 race schedule, promising another extraordinary year of enduro racing. Celebrating its fifth year, the series introduces two new venues and welcomes back a favorite from the 2015 lineup. The upcoming season also sees the return of the successful Golden Tour with a $24,000 cash purse for Pro categories. Returning for 2017 are the popular Golden Tour events at China Peak, Northstar, and Mammoth along with the Toro Enduro and the Ashland Mountain Challenge. The series also welcomes back a popular venue from 2015 – the Wild Wood Adventure Enduro on the Mendocino coast. New additions for the 2017 lineup are the Mammoth Bar Enduro in Auburn and the Crafts and Cranks Enduro at Snow Summit in Big Bear Lake. With the expansion to eight events, 2017 series points are based on the top six results of the eight races. 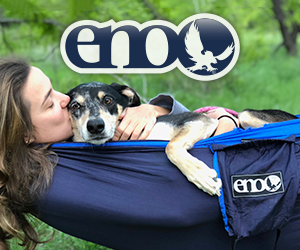 Learn more in our full article here.